Product prices and availability are accurate as of 2019-04-08 16:29:57 EDT and are subject to change. Any price and availability information displayed on http://www.amazon.com/ at the time of purchase will apply to the purchase of this product. 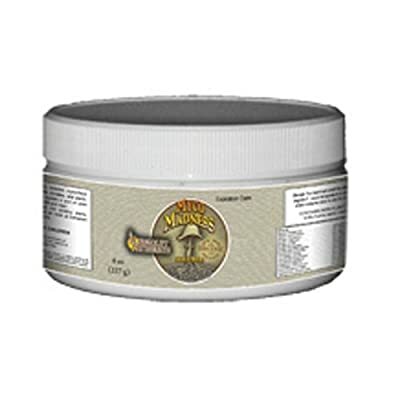 This biologically active soluble powder contains beneficial bacteria, mycorrhizal fungi, and trichoderma. These micro-organisms colonize roots and extend root zones into surrounding media, increasing the surface area of the root system. Humboldt Nutrients employed a leading mycologist to formulate this yield-enhancing product, which is well-suited to a variety of gardens and plants.Myco Madness is a soluble powder which contains a biologically active package: 9 mycorrhizal species, 15 beneficial bacteria and 2 trichoderma species well-suited to a variety of media, soil conditions, climates and plants. 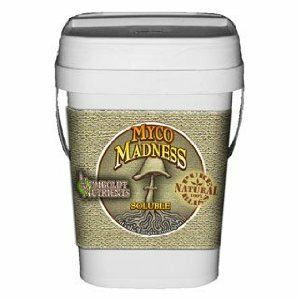 Myco Madness contains mycorrhizal fungi that colonize plant roots and extend the root system into the surrounding media, greatly enhancing the absorptive surface area of root systems. Myco Madness can help in forming an essential link between the plant roots, organic matter and fertilizers of all types. Myco Madness can help plants improve nutrient and water uptake for superior plant performance.Humboldt Nutrients employed one of the leading mycologists in mycorrhizal studies to help in the formulation of this yield and quality-enhancing product. Many university studies have proven the superiority of products created by this mycologist.